It is commonly known that one of the major factors for successful learning is the motivation to learn. The constant issue for teachers, therefore, is how they can motivate their students to want to learn. The primary motivation for any learning is inter­est in the subject. Since all humans are interested in different domains, it is unrealistic to expect school students to be interested in, on average, ten different subjects which they have to study according to school curricula. Consequently, teachers try to motivate their students extrinsically and it can safely be said that success is one of the major sources of extrinsic motivation. Generally, people like to do what they are good at. The opposite is also possible – the student is interested in the subject but lacks success and therefore becomes unmotivated. So, how can students succeed in subjects they are not overly inter­ested in or maintain their interest despite failures? Researchers in the field of educational psychology have been trying to find an answer to this question and many more questions concerning motivation theory. During the last few decades, the concept of self-efficacy has emerged and has become more important in research on learning. Simplified, self-efficacy is the confidence for being able to cope with tasks. It is said to be closely related to academic performance and to influ­ence motivation by making the learner feel self-confident or insecure. The connection between self-efficacy and achievement has been re­searched in a number of studies, which will be summarized and discussed in an empirical research chapter. 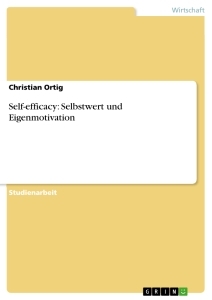 The influence of self-efficacy on motivation, however, has only theoretically been argued for. The research trying to show a causal relation be­tween these two concepts is generally criticized for not measuring motivation directly but by measuring performance, goal-setting or self-regulation and equating these concepts with motivation. Despite the problems that arise when research is trying to operationalize motivation (Gardner 2007), self-efficacy is said to have an influence on it and is regarded as one of the major concepts in learning theory. How to teach languages seems to be more disputed in literature today than how to teach any other subject. There is said to be a difference in learning a language in comparison to learning something else, since we all have already learned one language – our respective mother tongue. Linguistic researchers like Stephen Krashen (1982) even claim that there is a differ­ence between learning and acquisition and that languages can only be acquired and not learned. Other researchers think differently and suggest that learning a language in a classroom manner is not more problematic than learning mathematics in the classroom. In this discussion, the teaching of grammar is a prominent topic. Scientists in favor of Krashen’s hypotheses think that grammar teaching is not important for learning a language whereas others believe that grammar is a valuable and even necessary requirement for master­ing a foreign language (e.g. O’Neill, 2002). There are even researchers in line with Krashen’s basic ideas who nevertheless promote grammar teaching (e.g. Pienemann, 1989; VanPatten, 2002). In Germany, teaching English as a foreign language (EFL) is an especially important issue. All school students have to learn English whereas only stu­dents who are trying to attain a university entrance diploma have to learn more than this one foreign language. In the theoretical framework of this study, research on second language acquisition (SLA) in general will briefly be reviewed. It will be shown that teaching grammar is important in EFL teaching, which is the reason for it being a central part in the study presented in the second part of this thesis. After having reviewed theories of language learning, the present work will give a very brief overview of motivation theories and then sum up the differences be­tween self-efficacy and self-concept. 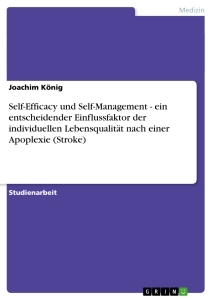 It will also present an overview concerning causal attributions and the importance of learner self-regulation before the potential effects of teacher feed­back on students’ self-beliefs will be discussed. By next presenting the current state of research knowledge on learners’ self-beliefs and the connection between self-beliefs and achievement, hypotheses regarding an intervention study on self-beliefs in the EFL classroom will be formed. These hypotheses will be tested and discussed in the second part of the paper – the present study. For the study, 223 fifth and sixth graders from a secondary school participated in a pretest-posttest control group design. All of the students completed a question­naire which differed only in the English grammatical task for fifth and sixth form. During the follow­ing weeks roughly half of the students did one self-efficacy practice on an English grammar task per week and received effort attributional feedback, whereas the others continued their English lessons as before. A second measurement in the form of a questionnaire was taken after five weeks and a third measurement after another eight weeks. In the questionnaires, students were asked to guess how many gaps in a grammar task they could fill in correctly before they started working on the actual grammar assignment as a form of self-efficacy testing. For the first and the third measurement, students were also asked for their English, English grammar and mathematics self-concepts, as well as for their causal attribu­tions for English grammar. Furthermore, students were supposed to rate their satisfaction for the con­ducted grammar task and their latest English grade. Also, students were asked for the Eng­lish grade they aimed at in their next school certificate and to rate how likely they thought the achievement of this grade. The analysis of these data is expected to show that the intervention influenced self-efficacy, self-concept and causal attributions. The experimental group is expected to have increased self-concepts, more realistic self-efficacy and increased effort attributions for success and failure as opposed to the control group. These expected results require data to be in line with research so far in order to confirm the validity of the instruments, whereas preliminary analyses will confirm the domain specificity of self-concept, the connection between self-efficacy, performance and self-concept as well as reliability. Subsequently it will be tested whether the null or the alternative hypotheses are to be accepted; in other words, if significant changes have taken place or not. The results will be discussed in context with questionnaires completed by the training teachers and finally implications for education and research will be named. Stephen Krashen is the most prominent linguist concerned with SLA. He was not the first linguist to develop a theory about SLA, but certainly one of the most influential ones, if not the most influential. Many subsequent SLA theories are based on, or refer to, his theories in some way. In his book Principles and Practice in Second Language Acquisition (1982) he develops a holistic theory about how SLA works, and based on that suggests how languages should be taught. Krashen first presents his five theories of language learning, which are the language acquisition hypothe­sis, the natural order hypothesis, the monitor hypothesis, the input hypothesis and the affec­tive filter hypothesis. The latter four theories are based on the language acquisition hypothesis, which is his major concern. According to this hypothesis, languages cannot be learned but can only be acquired. The difference between learning and acquisition is that acquisi­tion is a subconscious process. Krashen even claims that there is a natural language acquisition device involved, not only in children for first language (L1) acquisition, but also in adults for second language (L2) acquisition. The other hypotheses then claim that the acquisition of grammatical structures proceeds in a predictable order, that learning, as opposed to acquisition, has only the function of monitoring output, that input is the major requisite for acquisition and that three affective filters – motivation, self-confidence and anxiety – facilitate or hinder the acquisition process. Since, in Krashen’s opinion, a language cannot be learned but can only be acquired, he regards the teaching of grammar unnecessary. Considering that students can only process either meaning or form at a time (see Cherry, 1953 and Stifelman, 1994), he views the processing of meaning as most important as only this will lead to acquisition. Processing the form, or in other words focusing on grammar, can lead to a stronger monitor, which can only support acquired language, and not lead to fluent language use by itself. Krashen’s major claim, which supports the theory that grammar does not have to be taught, is that learning can never become acquisition. This claim is highly debated, even today, as it is only supported by common sense argumentation but has not yet been proven by research. McLaughlin’s (1978) monitor model differs in exactly this point, the opaque distinction between acquisition and learning. Instead of distinguishing between learning and acquisition, he calls the processes which underlie learning controlled and automatic processes. Controlled processes can be equated with Krashen’s monitor and automatic processes can be equated with acquired language in Krashen’s sense. The major difference is that, according to McLaughlin, controlled processes become automatic processes and are a necessary prerequisite for learning a language. Therefore, according to McLaughlin’s theory expressed in Krashen’s terms, learning can become acquisition and is even a necessary prerequisite. In order to automatize controlled processes, practice is an important factor (McLaughlin, 1978). Therefore, according to McLaughlin’s theory, teaching grammar and practicing it is a way of automatizing controlled language learning processes. Pienemann’s (1989) theory of language learning is based on Krashen’s distinction between learning and acquisition and also follows his natural order hypothesis. 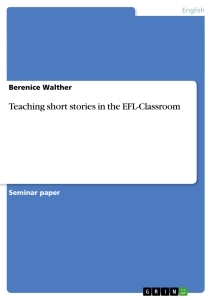 Pienemann does not dismiss grammar teaching as needless though. He believes that grammar instruction can promote language acquisition if the learner’s interlanguage is close to the point when the structure to be taught is acquired in the natural order. Therefore, according to Pienemann, explicit grammar teaching can facilitate acquisition, but only if the learner is at the right stage of his learning process according to the natural order hypothesis. Van Patten’s (2002) input processing theory is based on the assumption that learners follow certain rules in language learning, which come to them naturally. These rules are, for example, that they process input for meaning before they process it for form and that they process elements in sentence initial position first. Van Patten’s input processing theory clearly supports a kind of natural order hypothesis and thereby the concept of acquisition. Following from what he suggests for language teaching, a concept named Processing Instruction (PI), it becomes obvious that he considers grammar teaching to be effective for language acquisition if done according to PI. Since he calls PI a type of input enhancement or focus on form, he agrees with Krashen that input is the major component for facilitating language acquisition, but differs with regard to the fact that he thinks a focus on form can enhance the learner’s intake. In Van Patten’s PI, learners are made aware of a particular input processing strategy which may negatively affect their noticing the structure during comprehension. The learners are then pushed to process the structure through referential and affective input activities. Learners are not asked to produce the target form in question during the instructional phase. Even though Van Patten believes that grammar instruction can help acquisition, he agrees with Krashen that learning cannot become acquisition and that acquisition is not explicit learning. One of the latest noteworthy contributions to the discussion of the difference between learning and acquisition is that by O’Neill (2002). He rejects Krashen’s distinction between learning and acquisition completely and says that the linguistic differentiation of the two terms is unnecessary, if not wrong. Nevertheless, he does not question the whole concept of acquisition. He solely limits it to L1 learning or early L2 learning by claiming that acquisition is genetically triggered and the ability to acquire is lost during puberty. In general, he sees acquisition as a result and not as a process and points out that learning does not have to be conscious (with regard to Krashen’s distinction that learning is conscious and acquisition is not). His resulting views on language instruction in the classroom are that much input should be provided but that also a great deal of grammar practice should be done since, in his opinion, it is the teacher’s task to help the learner make the connection between form and meaning. The summary of SLA theories shows that the role of grammar in language teaching is still debated. There is neither proof for the claim that it is useless, nor for the opposite, that it is in fact indispensable. Even though Krashen made some important points for SLA, I agree with O’Neill that the distinction between learning and acquisition is not a necessary one. The distinction between McLaughlin’s controlled and automatic processes is more useful in the sense that it is a general learning theory not limited to language learning and that it offers practical suggestions for classroom teaching. When leaving aside the learning/acquisition distinction, Van Patten’s PI also offers valuable hints for grammar instruction in the classroom by claiming that learners have to be made aware of processing strategies that will otherwise hinder their correct intake and use of grammatical structures. What all of the theories have in common is that they stress the importance of input in SLA. This seems reasonable since learning in general requires much exposure to and practice of whatever is to be learned. Keeping this in mind, it seems natural that grammar teaching and practice have an important function in SLA as grammar is omnipresent in the foreign language. The author of this thesis adopts the view that grammar is one of the basic features a learner has to master and therefore practice in order to become able to use the target language successfully. The other key features are seen as reading, writing, listening and speaking, which are actually based on the successful use of grammar and the existence of a situation-sufficient lexicon. Theorists like Krashen claim it to be the other way around – by being exposed to the target language the learner ‘picks up’ the grammar and the vocabulary. I do agree that this is feasible, but only in a target language environment. Since not all learners of English can afford to move to an English speaking environment in order to learn the language, and it is a teacher’s job to teach the language in a classroom setting, we must accept grammar as a valuable and necessary part of learning and teaching a foreign language. In German classrooms, students start learning English in grade three. The first two years they learn basic vocabulary by playing games and singing and are only taught grammar when entering secondary school in grade five (Niedersächsisches Kultusministerium, 2006). Students are typically in classes of around 27 to 30 learners and have on average 180 to 225 minutes of English lessons per week. Even though Pienemann’s theory that a structure should be taught when the learner is ready for it (according to a natural order) seems sensible, the school system hardly allows for this. 30 students have to learn the same things at approximately the same speed – interindividual differences predict that some learners will be much faster than others. Since Pienemann’s theory has not yet been proven correct and its implications would hardly be realizable in the present German school system, it will be discarded. The author rather adopts McLaughlin’s theory that controlled processes become automatized, not only because it is sensible and proven (in the sense that practice improves performance), but also because its implications can be implemented in the German EFL classroom. If a learner is not motivated to learn, all SLA theories are useless since people can only learn what they want to learn. “Motivation is usually defined as an internal state that arouses, directs and maintains behaviour” (Woolfolk, Hughes & Walkup, 2008: 438). Over the past decades, many different motivation theories have been established. Since motivation is a construct which is hard to operationalize adequately, none of the theories have been empirically proven to be unambiguously true. Nevertheless, the most respected theories will briefly be outlined since they are linked to the self-beliefs focused on in this thesis. The most common distinction in motivation theories is the one between intrinsic and extrinsic motivation. If people engage in activities because the activities themselves are rewarding and they do not need any other incentives, they are intrinsically motivated (Ryan & Deci, 2000). If, however, people engage in activities because they want to reach a goal by doing so, they are extrinsically motivated (Ryan & Deci, 2000). This differentiation is very roughly laid out here and Ryan and Deci distinguish the loci of motivation more finely but the distinction between intrinsic and extrinsic motivation will suffice for the framework of this thesis. Of course, it is generally hard to say ‘this person is intrinsically/extrinsically motivated’, as many motivational states include both loci. For example, the EFL learner is extrinsically motivated to receive a good grade but intrinsically motivated because he wants to be able to understand the lyrics to his favorite English pop song. In general, it is assumed that intrinsic motivation is the more favorable one, but teachers cannot rely on their students to be intrinsically motivated for all subject contents. Therefore, extrinsic motivation is a major concern in the (EFL) classroom and appropriate feedback, which will be discussed further on, is part of this. Another prominent approach to motivation theories are expectancy-value theories. According to these, motivation is based on the questions of whether the individual can actually succeed if he wants to and whether the outcome in case of success would be valuable (in relation to the cost of pursuing it) (e.g. Rheinberg, 1988). This motivation approach is linked to attribution theories (which will be addressed in a later chapter) since attributions are closely related to learners’ self-beliefs, which in turn are responsible for success or failure expectations. If causal attributions influence self-beliefs or vice versa, is hard to prove. The influence is assumed to be reciprocal, but this can only be proven in longitudinal studies. Expectancy-value theories are important in the (EFL) classroom since the teacher has to provide extrinsic stimulation and support learners’ positive self-beliefs in order to raise their expectations and the values attached to the outcomes. Sociocultural views of motivation are (or at least were) especially prominent in foreign language (FL) teaching. These views promote that people are motivated to learn because they are interested in or want to be a part of a community (Lave & Wenger, 1991; Wenger, 1998). In respect to FL learning, Gardner and Lambert (1959) called this motivation integrative motivation. For a long time linguists promoted this cultural motivation approach, but in recent years it has receded significantly. Research has shown that the perceived value of a language and culture does not correlate highly with achievement when other motivational variables such as self-beliefs are controlled in statistical analyses (e.g. Mills, Pajares & Herron, 2007). Therefore, the focus has shifted from sociocultural towards psychological motivation theories. This very brief overview of motivation theories is by far not complete, but any further details and theories would not work towards the focus of this thesis. The important fact is that self-beliefs influence motivation and achievement (O’Mara, Marsh, Craven & Debus, 2006) and thereby determine how successful, self-confident and content learners become in their (school) lives. Nowadays, it is commonly known that the beliefs learners hold about themselves are just as important as the skills they possess. If someone keeps telling himself ‘I can’t do it any­way’, he will not be able to do whatever he is supposed to do, regardless of whether his skills would actually permit the successful completion of the task. In school contexts, the self-beliefs especially focused on in the last few decades were self-concept, self-efficacy and causal attributions. Even though these beliefs are interrelated, they differ essentially enough to make it necessary to examine them separately. After having done that, the concept of self-regulation will be elaborated on and the role of teacher feedback examined. Frames of reference. Skaalvik and Skaalvik (2002) identify several internal and external reference frames. They point out that social comparisons (external frames) often happen on school-average and/or classroom level of ability, depending on whether the school system allows for students to know a school average. For internal reference frames they identify four types: comparing achievements in different school subjects, comparing achievements in the same subject, comparing achievements in different subjects with goals for the same subject, comparing different subjects with the learner’s perceived applied effort in those subjects. Skaalvik and Skaalvik stress the complexity of these frames of reference by naming five sources: direct observation of achievement, teachers’ responses and comments in the classroom, responses from classmates, responses from people outside the classroom and grades. For optimal motivation, learners should be encouraged to use internal frames of reference, optimally comparing their achievements in the same subject, since this stresses effort attributions (as opposed to ability attributions which are enhanced by external frames of reference). Internal frames of reference can be facilitated by effort attributional feedback from the teacher and by not providing external achievement information like overviews of marks. The other sources of social comparisons cannot be controlled by the teacher. Causal attribution. How and to what extent causal attributions influence learners’ self-concepts will be dealt with in a whole chapter on causal attributions. Reflected appraisals from significant others. The teacher’s effort attributional feedback (see chapter on feedback), which the learner integrates into his self-concept, is a way of appraising students’ learning or performance. It is not an easy task to give praise to every student in a way that he will reflect it though. Some learners are embarrassed by receiving praise in front of others and cannot reflect it in that case. Since the teacher is not the only significant other (significant others can also be classmates, friends or family), the teacher has only limited influence. Mastery experiences. They result from succeeding in tasks with just the right difficulty. The best level of difficulty for a learner is one level above his current ability. In language learning theories this is often called i+1 (comprehensible input one level above the learner’s comprehension level – Krashen, 1982), in general learning theory Zone of Proximal Development (ZPD – Vygotsky, 1978). If it is not possible to provide tasks at the best level of difficulty for every learner or if a learner has such low self-efficacy and self-concept that he cannot even succeed in simple tasks, training goal setting is another way of providing students with mastery experiences. If students learn to lower their goals when necessary, they can feel mastery experiences even on tasks perceived as difficult. Goal setting will be further discussed in the chapter on self-regulation. Psychological centrality. This source can be linked to interest and outcome expectations. If a subject is central to a learner, depends on his personal preferences and also on his goals. If a learner needs to obtain a good result in English in order to be allowed to go to university, this subject will probably be more important to him than one that is irrelevant, even if he is not intrinsically interested in English. However, the term outcome expectations is debated. Bandura (1978) linked it to self-efficacy and claimed that outcome expectations depend on the subject’s confidence of how well he can perform a given task. Kirsch (1985), though, pointed out that Bandura used the term with different meanings, the second being that outcome expectation is the knowledge of consequences independent of the individual’s self-efficacy. For the purposes of this thesis it is not necessary to decide on one of the two meanings and it suffices to point out the two different uses of the term in literature. Outcome expectations can depend on self-efficacy but learners can also have outcome expectations for situations that do not concern themselves and are therefore independent of self-efficacy. Nonetheless, outcome expectations certainly have their part in determining the psychological centrality of an issue. See McLaughlin (1978), for example, who published his monitor model theory some years before Krashen (1982) but did not receive as much attention for it. From here on the expression L2 will be used for every language which is not the mother tongue, even if it is the third, fourth of fifth language to be learned. Krashen does account for exceptions, which are so called super-monitors and can produce fluent output solely by using their monitor. Since these are exceptional, his theories are not based on their language learning abilities. Interlanguage is the language of the learner who is getting closer to the natural use of the target language but still uses features of his L1 in the target language. Throughout the whole thesis the male pronoun will be used for all unspecified subjects. This explicitly includes female subjects, unless otherwise indicated by the context. Intake is a term focused on by Schmidt (1990), who points out that an abundance of input is not sufficient for successful language learning, but that the intake (the part of input which is actually noticed by the learner) determines the success in language learning. Ever since Krashen’s influential book was published in 1982 there were hardly new insights into SLA (from a linguistic perspective). Except for the researchers which were summarized in this chapter, people have mostly either agreed with Krashen or posited themselves against him. No noteworthy advances have been made in the last decade, which might be due to the fact that the discussion on language learning has shifted towards the motivational aspects researched in educational psychology, which will be discussed in the next part of this thesis. As has been shown in this chapter, the distinction between learning and acquisition is of high importance for some linguists. Since the author does not agree with this differentiation or at least does not regard it important, the terms learning and acquisition will be used interchangeable from here on (except if explicitly referring to the distinction). The author does also not agree with the nebulous claims that SLA is different from learning anything else. There is no proof whatsoever that a language acquisition device (LAD) exists and that it distinguishes language learning from any other type of learning. Even though the German school system might need to make some important changes, discussing this is not the aim of this thesis and thus unworkable theories will be discarded instead of suggesting a system in which they could work. The author acknowledges that ZPD and i+1 are different concepts, but does not deem the distinction important enough in the context of the present study to further elaborate on it. The interested reader can access further information in Lantolf and Thorne (2007).